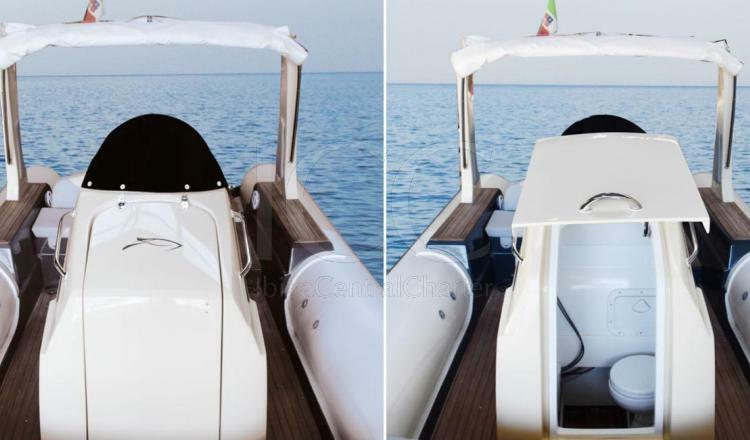 The XRS Family combines comfort and safety making it the perfect boat to enjoy a holiday in the Mediterranean Sea with your friends or family. 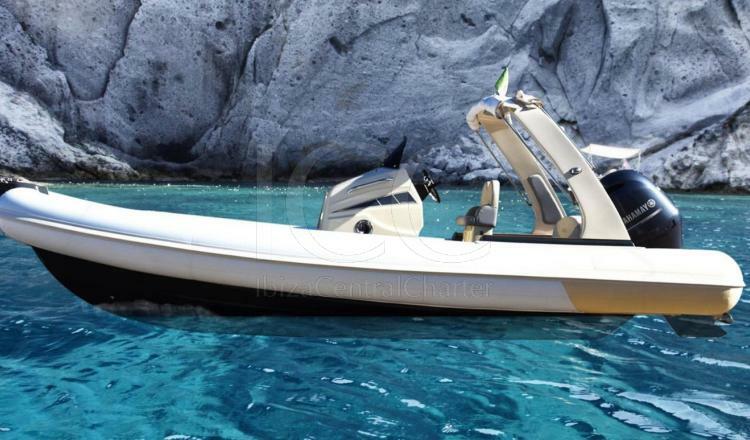 The XRS Family rib is equipped with all the necessary amenities, including an awning and a bathroom ladder, to make navigation more comfortable. It has a covered teak wood bathtub with enough capacity for a group of up to 8 people to be on board comfortably. Passengers can enjoy the sun on its spacious sundeck located in the bow or, if they prefer, relax and enjoy the sea breeze on the aft seats. The command zone has raised seats that facilitate the view to the skipper, making navigation easy and safe. In addition, it has a cabin with toilet that provides the necessary privacy in a day of charter. This boat offers a simple and comfortable navigation that will allow you to know the coasts of Ibiza and Formentera in a different way. - Towable water toy and jet ski are available upon request. 50% when booking to pay by bank transfer, 50% at boarding.